Whilst the medical benefits of cannabis have been known and documented for thousands of years, some of the biggest advances have only just been made, over the course of the past few decades. campaigners and the medical marijuana community as a whole, we now posses a much greater understanding of the herb and its potential for treating a myriad of illnesses and their symptoms: From multiple sclerosis to brain cancer, epilepsy to glaucoma. Isn’t all cannabis useful for medicinal purposes? In order for any cannabis strain to be considered effective for medicinal use, it needs to possess an adequate percentage of active cannabinoids. 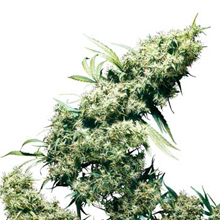 As with all medicines, the potency, chemical composition and dosage of a prescribed course of cannabis will differ from person to person: However, as long as the herb being used isn’t industrial hemp, it could potentially be used for medicinal purposes, given that the healthcare professional prescribing the medicine has deemed it to be a suitable strain for the individual being treated. 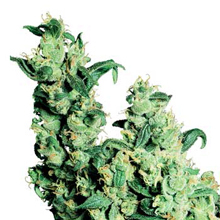 Indica Strains: Strains with Indica genetics will typically possess high concentrations of CBD and THC, making them useful for treating muscular spasms, pain, insomnia and anxiety: They are known to produce a relaxed set of body-focussed, sedative effects. which makes them useful for producing energising, stimulating effects on the mind. They are typically used to treat depression, nausea and chronic pain. Hybrid Strains: A number of the most effective medical marijuana strains are hybrids: Their effects differ from strain to strain, but they are often balanced to accentuate the best features of both sets of parent plants. 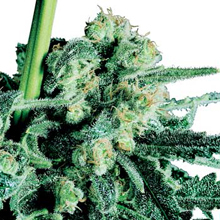 This 55% Sativa / 45% Indica cross is a cup-winning legend that is known by many as ‘the champagne of strains’ – More than this, it is recognised and prescribed by pharmacies throughout The Netherlands as a certified medicinal-grade strain. As an 80% Indica variety, this superior strain from the legendary Sensi Seeds is a potent cross whose easy-growing characteristics and low cost combine to put high-grade medicine within the reach of the masses. As an 85% Sativa strain, this strain possesses a high concentration of THC, making it perfect for treating a number of diverse medical conditions: It is known for its potency, consistency and mouth-watering tropical flavour. Disclaimer: When it comes to any form of medical treatment, we urge all of our readers to seek and follow advice from a qualified healthcare professional and to adhere to all of their local laws.